American chess fans everywhere are cheering in the streets, as countryman Fabiano Caruana overcame the game’s elite grandmasters to win the recently concluded Candidates Tournament in Berlin, Germany. He is now qualified to play world champion Magnus Carlsen for his title in November. It is the first time an American will compete for the crown in more than two decades. The last victory for the United States was in 1972, when Bobby Fischer won an epic match against the Russian Boris Spassky in Reykjavik, Iceland. Caruana, 25, who was born in Miami, raised in Park Slope, Brooklyn, and currently resides in St. Louis, had to recover from a potentially devastating loss in round 12 of the marathon 14-round event that took 18 days to complete. After a rest day to collect his nerves, the new challenger bounced back with two dominating victories to seal his place in history. 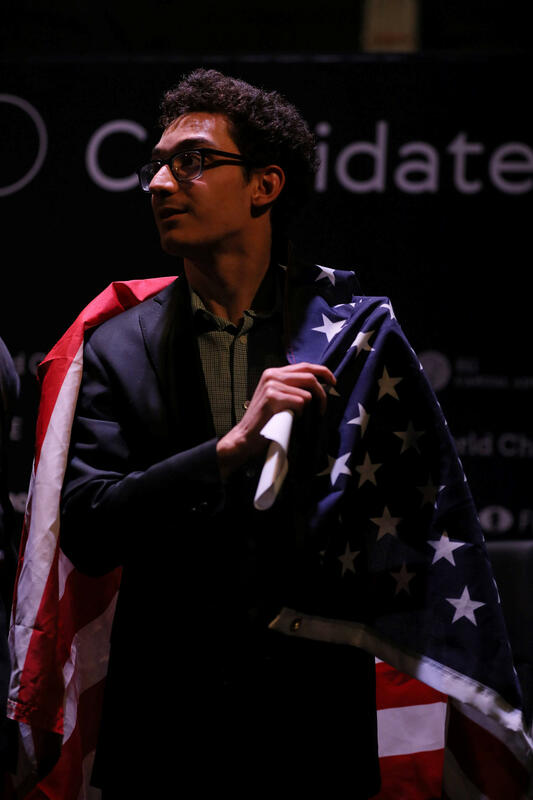 In winning the Candidates Tournament, Fabiano Caruana became the first American in two decades to compete for the title of world champion. He'll take on Magnus Carlsen for the title in November. Caruana, who become a grandmaster just shy of his 15th birthday, rose to prominence when he won the prestigious Sinquefield Cup in 2014 with a performance that is hailed as one of the greatest individual results in the history of the sport. His perfect 7-0 start, which included a victory against the world champion, catapulted him into the limelight, with chess pundits predicting that he was clearly the rightful next challenger to the throne. However, in 2016, at the last Candidates Tournament held in Moscow, he was dealt a crushing blow in the final round, eliminating his hopes of winning the event. Two years later, he now sits atop all his rivals for a shot at the title. The family decided to relocate to Europe when young Fabiano was 12 so that he could play on the more competitive European circuit. He competed under his mother’s Italian flag until 2015, when he decided to switch back to playing for his home country. He became U.S. champion in 2016 and played first board for the U.S. team that won the Chess Olympiad later that year in Baku, Azerbaijan — the first time an American team had taken home the gold medal in 76 years. Now he will represent the U.S. as he fights for the title of best chess player on the planet. Maurice Ashley is a Jamaican-American chess grandmaster, author, commentator, app designer, puzzle inventor, and motivational speaker. In 1999, he earned the grandmaster title, making him the world's first African-American grandmaster. In 2016, he was inducted into the U.S. Chess Hall of Fame.